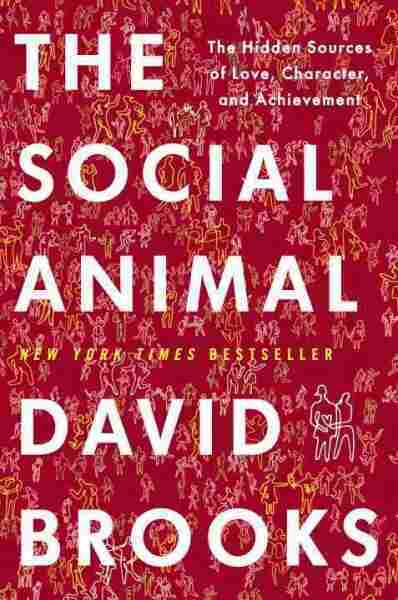 David Brooks Defines The New 'Social Animal' "If you mention the word love at a congressional hearing, they look at you like you're Oprah," David Brooks says. But new research has convinced the New York Times writer that to make truly effective public policy, you have to see the emotional and social connections behind the numbers. 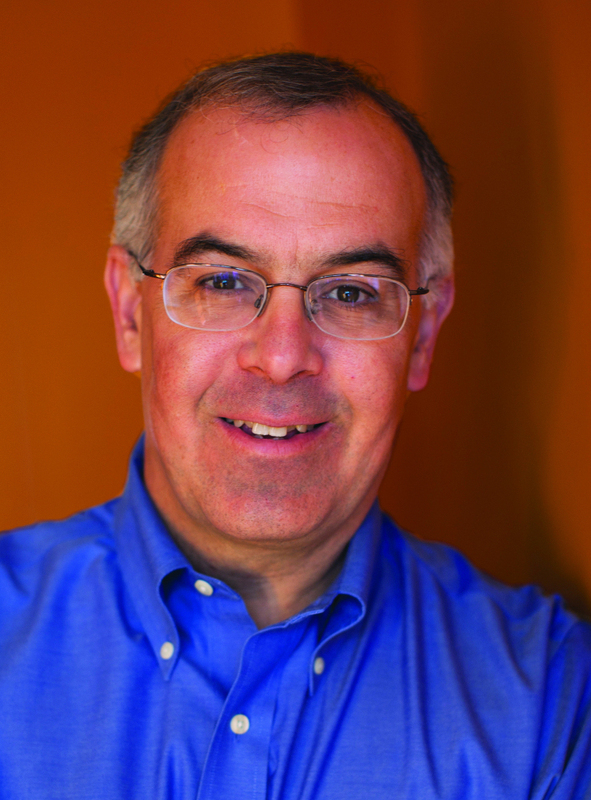 David Brooks, an op-ed columnist for The New York Times, has covered some of the most significant events in recent time — the fall of the Soviet Union, the invasion of Iraq and the economic recession. Looking at the effects of these events from a broader view, Brooks began to think that perhaps other people besides policymakers — such as scientists, philosophers, psychologists and neuroscientists — were the ones who had real insight on how people thrive, and what causes failure on such a large scale. "When the Soviet Union fell, we sent all these economists into Russia, when what they really lacked was social trust," Brooks tells Robert Siegel on All Things Considered. "We invaded Iraq totally oblivious to the psychological trauma and the cultural realities of Iraq. We had financial regulatory policies based on the ideas that bankers were sort of rational creatures who would make smart decisions." In Washington, D.C., which Brooks calls "the most emotionally avoidant city on Earth," Brooks notes that decisions are made based on the assumption that people are cold, rationalistic individuals who respond to incentives. Those assumptions didn't quite match what the research in other fields began to illustrate, however. "Scientists, philosophers and others were developing a more accurate view of human nature, which is that emotion is more important than reason, that we're not individuals — we're deeply interconnected," Brooks says. "And most importantly ... most of our thinking happens below the level of awareness." To convey this new psychological research in a more accessible way for his new book, The Social Animal, Brooks created two characters — Harold and Erica, a married couple and successful professionals — and followed their lives from birth to Harold's death from natural causes on a porch in Aspen, Colo. He created the characters to make the book more enjoyable to read, to illustrate the science in the real world and, most importantly, to have the way the story was told match its subject — convincing us that personal connections matter. In this illustrated excerpt from The Social Animal, Harold tries to fib and whine his way out of nightly homework assignments. His mother, Julie, reacts by offering candies and television time as rewards to finish — but it seems that just hanging out with his mom could be the best motivation. "The reality of education is that people learn from people they love. But if you mention the word love at a congressional hearing, they look at you like you're Oprah," he says. Brooks emphasizes that what really matters in people's lives today is how they relate to one another. Scientists can now study an 18-month-old child interacting with his or her mother and predict with 77 percent accuracy whether the child will graduate from high school. While Brooks cautions against letting these early signs determine a child's future, as mentors or other strong relationships can intervene along the way, he stresses the importance of looking at the impact that emotional relationships have on our lives from the very beginning. "It's tough to talk about that in a world of CBO [Congressional Budget Office] reports, but that actually is the most important thing when you're talking about how we raise our kids, how we conduct business and everything else," Brooks says. David Brooks writes an op-ed column for The New York Times and is a regular commentator for All Things Considered. He grew up in New York City and now lives in Bethesda, Md. Viewing people's actions through the lens of the unconscious feelings and how they're influenced by the people closest to them has caused Brooks to see events like those unfolding in the Middle East in a new way. He notes that in situations like the one in Egypt, signals transferred from person to person affected the mood and emotions of the entire country. A key way to understand why individuals make the choices they do, Brooks says, is to "think of the models in their heads, to think of the way they see the world." Brooks finds himself much more suspicious of the free market after his research into the social nature of relationships, and sees the financial system less as an Ayn Rand-type vision of rational individuals, but instead as several groups of people competing and collaborating with each other. The most successful groups, he says, are the ones who take turns having a conversation and are good at signaling each other. "The free market produces a lot of wealth, but it's embedded ... in a series of understandings. And if you don't have those relationships, then people can't thrive in that free market," he says. The new research gives us a fuller picture of who we are. But I confess I got pulled into this subject in hopes of answering more limited and practical questions. In my day job I write about policy and politics. And over the past generations we have seen big policies yield disappointing results. Since 1983 we've reformed the education system again and again, yet more than a quarter of high- school students drop out, even though all rational incentives tell them not to. We've tried to close the gap between white and black achievement, but have failed. We've spent a generation enrolling more young people in college without understanding why so many don't graduate. One could go on: We've tried feebly to reduce widening inequality. We've tried to boost economic mobility. We've tried to stem the tide of children raised in single- parent homes. We've tried to reduce the polarization that marks our politics. We've tried to ameliorate the boomand- bust cycle of our economies. In recent decades, the world has tried to export capitalism to Russia, plant democracy in the Middle East, and boost development in Africa. And the results of these efforts are mostly disappointing. The failures have been marked by a single feature: Reliance on an overly simplistic view of human nature. Many of these policies were based on the shallow social- science model of human behavior. Many of the policies were proposed by wonks who are comfortable only with traits and correlations that can be measured and quantified. They were passed through legislative committees that are as capable of speaking about the deep wellsprings of human action as they are of speaking in ancient Aramaic. They were executed by officials that have only the most superficial grasp of what is immovable and bent about human beings. So of course they failed. And they will continue to fail unless the new knowledge about our true makeup is integrated more fully into the world of public policy, unless the enchanted story is told along with the prosaic one. To illustrate how unconscious abilities really work and how, under the right circumstances, they lead to human flourishing, I'm going to walk, stylistically, in the footsteps of Jean- Jacques Rousseau. In 1760 Rousseau completed a book called Emile, which was about how human beings could be educated. Rather than just confine himself to an abstract description of human nature, he created a character named Emile and gave him a tutor, using their relationship to show how happiness looks in concrete terms. Rousseau's innovative model allowed him to do many things. It allowed him to write in a way that was fun to read. It allowed him to illustrate how general tendencies could actually play out in individual lives. It drew Rousseau away from the abstract and toward the concrete. Without hoping to rival Rousseau's genius, I'm borrowing his method. To illustrate how the recent scientific findings play out in real life, I've created two major characters— Harold and Erica. I use these characters to show how life actually develops. The story takes place perpetually in the current moment, the early twenty- first century, because I want to describe different features of the way we live now, but I trace their paths from birth to learning, friendship to love, work to wisdom, and then to old age. I use them to describe how genes shape individual lives, how brain chemistry works in particular cases, how family structure and cultural patterns can influence development in specific terms. In short, I use these characters to bridge the gap between the sort of general patterns researchers describe and the individual experiences that are the stuff of real life. Harold and Erica matured and deepened themselves during the course of their lives. That's one reason why this story is such a happy one. It is a tale of human progress and a defense of progress. It is about people who learn from their parents and their parents' parents, and who, after trials and tribulations, wind up committed to each other. Finally, this is a story of fellowship. Because when you look deeper into the unconscious, the separations between individuals begin to get a little fuzzy. It becomes ever more obvious that the swirls that make up our own minds are shared swirls. We become who we are in conjunction with other people becoming who they are. We have inherited an image of ourselves as Homo sapiens, as thinking individuals separated from the other animals because of our superior power of reason. This is mankind as Rodin's thinker—chin on fist, cogitating alone and deeply. In fact, we are separated from the other animals because we have phenomenal social skills that enable us to teach, learn, sympathize, emote, and build cultures, institutions, and the complex mental scaffolding of civilizations. Who are we? We are like spiritual Grand Central stations. We are junctions where millions of sensations, emotions, and signals interpenetrate every second. We are communications centers, and through some process we are not close to understanding, we have the ability to partially govern this traffic—to shift attention from one thing to another, to choose and commit. We become fully ourselves only through the ever- richening interplay of our networks. We seek, more than anything else, to establish deeper and more complete connections. And so before I begin the story of Harold and Erica, I want to introduce you to another couple, a real couple, Douglas and Carol Hofstadter. Douglas is a professor at Indiana University, and he and Carol were very much in love. They'd throw dinner parties and then afterward, they would wash the dishes together and relive and examine the conversations they had just had. I looked at her face and looked so deeply that I felt I was behind her eyes and all at once I found myself saying, as tears flowed, "That's me! That's me!" And those simple words brought back many thoughts that I had had before, about the fusion of our souls into one higher- level entity, about the fact that at the core of both our souls lay our identical hopes and dreams for our children, about the notion that those hopes were not separate or distinct hopes but were just one hope, one clear thing that defined us both, that welded us into a unit, the kind of unit I had but dimly imagined before being married and having children. I realized that though Carol had died, that core piece of her had not died at all, but that it had lived on very determinedly in my brain. The Greeks used to say we suffer our way to wisdom. After his wife's death, Hofstadter suffered his way toward an understanding, which as a scientist he confirms every day. The essence of that wisdom is that below our awareness there are viewpoints and emotions that help guide us as we wander through our lives. These viewpoints and emotions can leap from friend to friend and lover to lover. The unconscious is not merely a dark, primitive zone of fear and pain. It is also a place where spiritual states arise and dance from soul to soul. It collects the wisdom of the ages. It contains the soul of the species. This book will not try to discern God's role in all this. But if there is a divine creativity, surely it is active in this inner soulsphere, where brain matter produces emotion, where love rewires the neurons. The unconscious is impulsive, emotional, sensitive, and unpredictable. It has its shortcomings. It needs supervision. But it can be brilliant. It's capable of processing blizzards of data and making daring creative leaps. Most of all, it is also wonderfully gregarious. Your unconscious, that inner extrovert, wants you to reach outward and connect. It wants you to achieve communion with work, friend, family, nation, and cause. Your unconscious wants to entangle you in the thick web of relations that are the essence of human flourishing. It longs and pushes for love, for the kind of fusion Douglas and Carol Hofstadter shared. Of all the blessings that come with being alive, it is the most awesome gift. 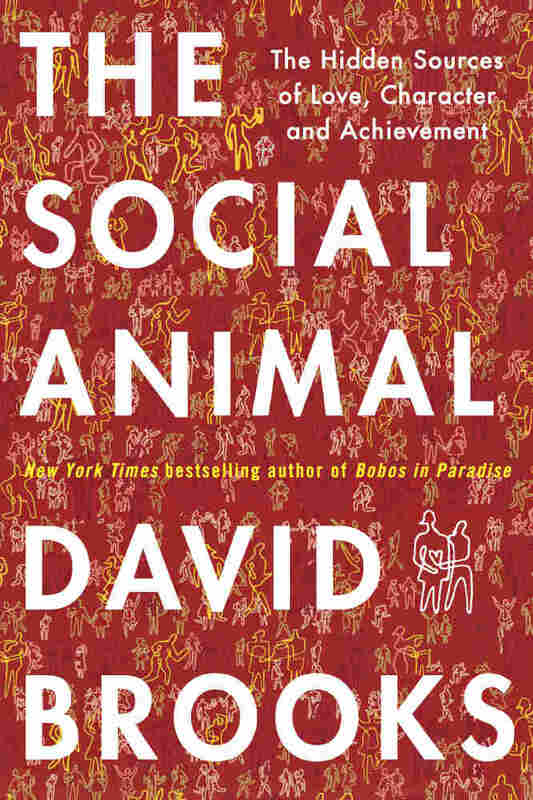 Excerpted from The Social Animal by David Brooks. Copyright 2011 by David Brooks. Published by Random House. All rights reserved.